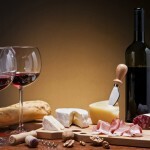 Home › Are There Health Benefits From Drinking Red Wine? With so much conflicting information, it’s hard to know what you should or shouldn’t be eating and drinking to stay healthy. While there is no firm medical proof, most studies point to health benefits from drinking red wine. What Can Red Wine Do? While red wine isn’t considered a cure all (and certainly not a substitute for visiting your doctor), there are some widely agreed upon benefits to drinking red wine. 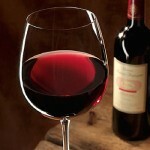 The most promising benefit is that red wine is believed to protect against certain forms of cancer & heart disease. In fact, some studies show up to a 30%-50% reduction in heart disease of those who consumed a glass of red wine each night. It also appears to have a positive effect on cholesterol & blood pressure. And finally, drinking red wine has been shown to lower the risk of heart attacks in middle-aged (30-50 years old) adults. Experts started to study the benefits of red wine when they started to notice a correlation between populations who drank red wine regularly and lower incidences of disease. This was especially evident in the Mediterranean region, where red wine is plentiful. They also studied the so-called “French Paradox,” where the French have a lower rate of heart disease and obesity even though they consume a higher-fat diet. Most of the benefits of red wine come from the antioxidants present in it. Studies show that red wine has a high concentration of antioxidants, which are known to have anti-inflammatory and anti-cancer properties. The antioxidants have been found to increase HDL cholesterol (the good kind of cholesterol) and help prevent blood clots and plaque from forming on arteries. How Much Should I Drink to See the Health Benefits of Red Wine? Most experts believe that it takes very little to see the health benefits of red wine. 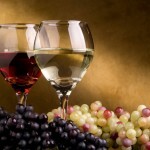 Moderation is truly the key – one glass of wine per day for women and one or two glasses for men. Keep in mind, as well, that a glass of wine is considered to be four ounces. This isn’t to say that you should be drinking a bottle of red wine each night. 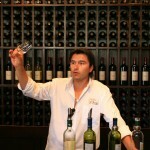 In fact, most experts believe that the health benefits of red wine are lost if wine is consumed to excess. There is also the concern that those who have a family history of alcoholism or other pre-existing health conditions should not be drinking red wine. In these cases, the benefits do not outweigh the risks. This entry was tagged Health Benefits of Red Wine, red wine benefits, valencia red wine, valencia wine tasting, wine tours. Bookmark the permalink.